Save time when preparing tasty and healthy sandwiches with Kutchina Nora Grill sandwich maker. This model has a 2 sandwich capacity and makes it easier for you to quickly grill all your sandwiches. The heating plates of this model have a non-stick coating to ensure that your bread slices don’t get burned. The handle lock is an important safety feature in this model. You can store this model in a tiny space as it has a sleek and compact body design. Cook easily and in style with Kutchina Cosmic DLX induction cooker. The high-quality copper coil of this model ensures faster heating which, in turn, speeds up your cooking time. The programmed cooking presets of this model eliminate the need to manually adjust the heat when preparing various types of recipes. The sleek body design of this model gives it a modern look. Storing this model is not at all a problem as it has a compact body. 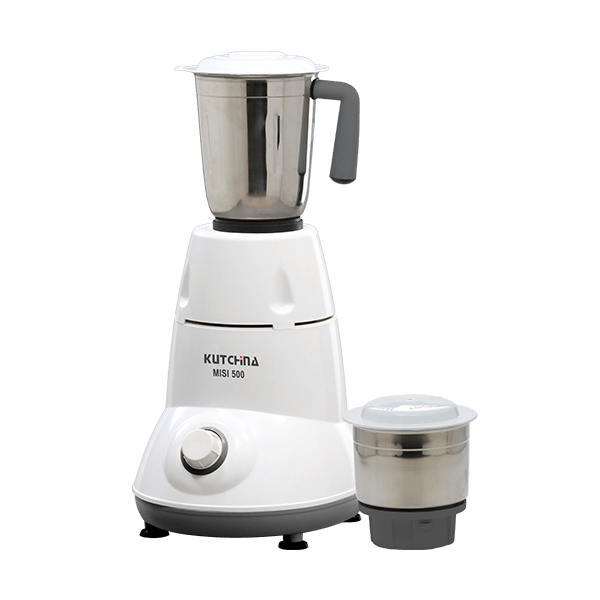 Kutchina Cosmic induction cooker is a functional and stylish alternative to your traditional gas stove. Designed for regular use, this model is made from high-quality materials and internal parts that ensure superior longevity of the appliance. You can use this model to cook various types of food items as it comes with 8 different cooking temperature ranges. Cosmic induction cooker also features several cooking preset settings, including chapati, dosa, fry, water, milk, and soup. The simple control buttons and a dedicated digital display make this appliance easy to use.